The latest instalment of the Far Cry franchise will launch in just a couple of months. Ubisoft has just revealed the minimum and recommended PC specs for Far Cry 5 for playing in 720p, 1080p, and 4K 30fps and 60fps. Additionally the developers have shared information on a multitude of PC specific features, and revealed there will be a built-in benchmark. As a reminder, the upcoming Far Cry 5 is set in Hope County, Montana, USA. The county is home to a fanatical doomsday cult known as Eden’s Gate. You might already have guessed but your job in the game will be to face-off against the Eden’s Gate leader, Joseph Seed, plus his rabble of friends and family to eventually liberate the nearby community. The game will include signature Far Cry style open world action adventure gameplay including multiplayer and co-op modes. This instalment will be the largest and most customisable Far Cry yet, claims Ubisoft. 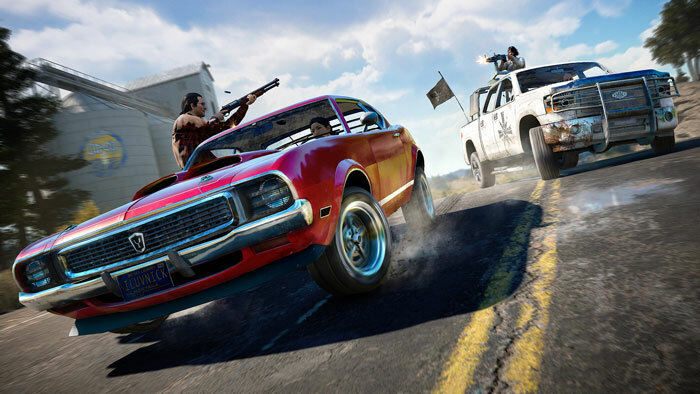 As well as a wide variety of weapons there will be muscle cars, ATV's, planes and a lot more to help in your fight against the cult. On PC specifics there will be a myriad of options to tweak, such as; variable aspect ratio support, FOV adjustment, optional FPS locking, and resolution scaling. 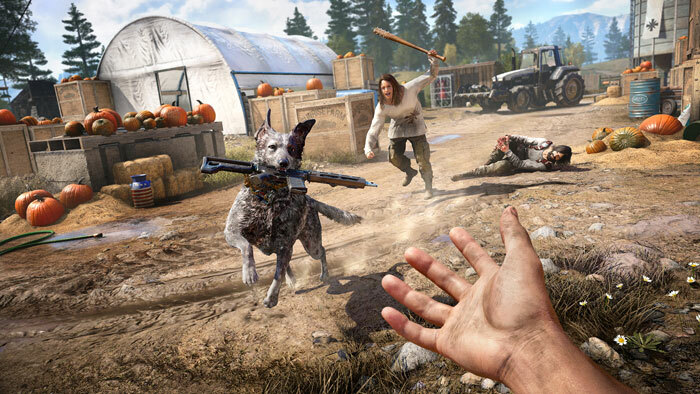 Far Cry 5 is also built to take advantage of multi-GPU configurations say the developers. Interestingly a built-in benchmark will be present. This feature is touted, alongside a video memory usage meter, as a tool for analysing the PC and calibrating it for the best possible visuals to performance ratio. Such tinkering is optional, as Ubisoft assures auto-detect will do a pretty good job in matching quality-preset to user hardware. Far Cry 5 is scheduled for release on the 27th of March 2018 on PC, Xbox One, and PS4. Wow, recommending SLI/CFX in this day and age when the industry is trying to kill off mutli gpu for gaming. Would suggest the game engine needs some optimising if it needs that kind of power! Ubisoft's system requirements are never accurate, according to them I will easily get 30fps+ at 4K, when the reality is I expect to see 30fps at 1080p. That being said, the far cry series has generally been better optimized than their other titles, so here's to hoping I will get 60fps at 1080p, I could live with that. The mention of SLI/CFX makes me think its not DX12….. Typical Ubi, dragging their heals and re-using old code.